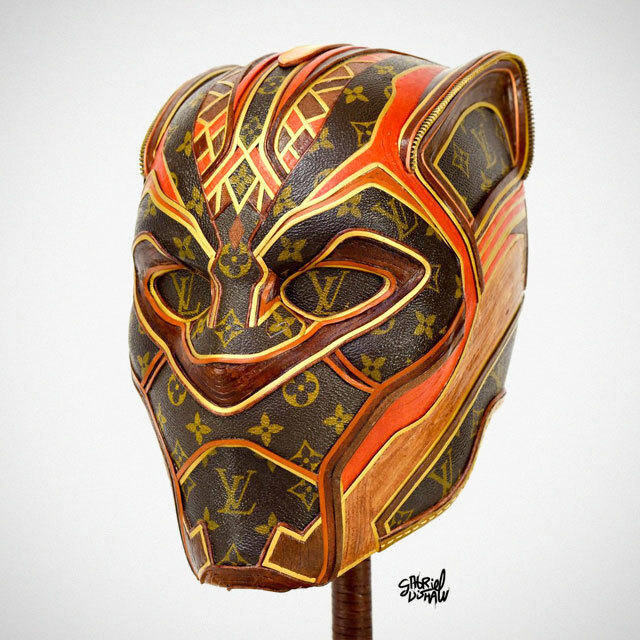 Gabriel Dishaw has a thing for blending pop culture icons with Louis Vuitton’s iconic monogram. 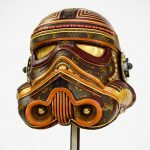 Since we last saw his works, his portfolio has grew to include Marvel’s Iron Man and Black Panther, Mickey Mouse, and even Power Ranger. 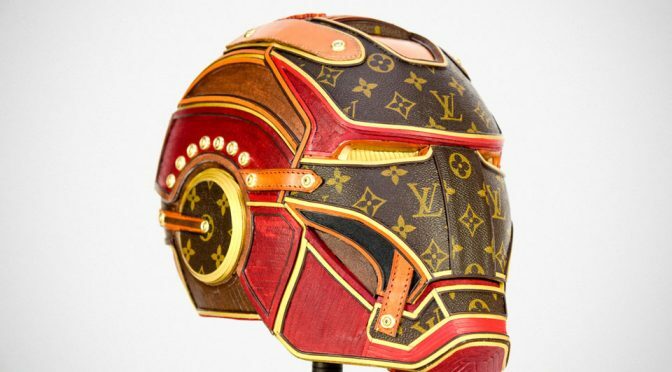 There are all very impressive, as always, but this Iron Man Mark LV 2 Helmet deserves special mention because, Robert Downey Jr. The man himself posted this and immediately, our interest is piqued, and so here it is. As before, the sculpture was created using a vintage piece of Louis Vuitton luggage, along with other undisclosed upcycled materials. It is an impressive work of art. 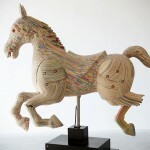 It was a commissioned job which means, it is already in some lucky collector’s hands. We are not sure if Robert Downey Jr. was the person, but we do not dismiss the possibility that he was the one who commissioned it. Anyways, the sculpture came affixed to a custom stand with a plaque that says “Iron Man LV 2” and it stands 16 inches tall, 10 inches wide and 12 inches deep. This was the sculpture was a second commissioned work completed on October 23, 2018. As mentioned, Dishaw also created an equally impressive Black Panther helmet sculpture. 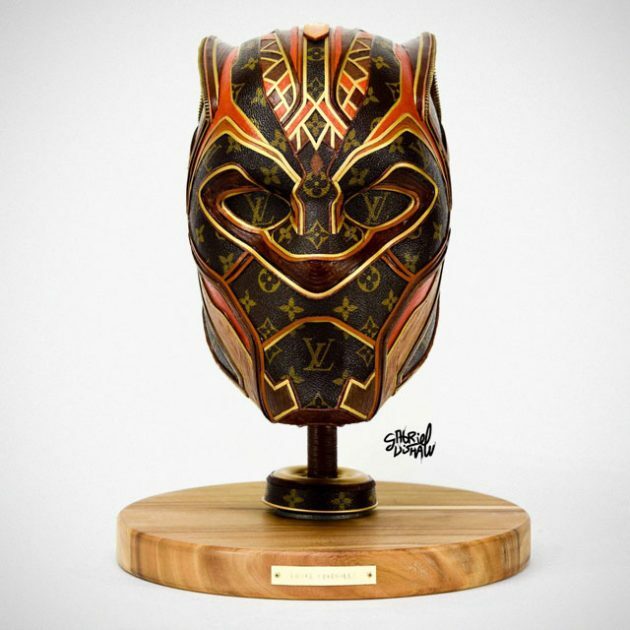 What’s more interesting about the T’Challa’s Black Panther helmet is, it also used computer chips, capacitors and wires – addition to the usual upcycled leather from vintage LV luggage. 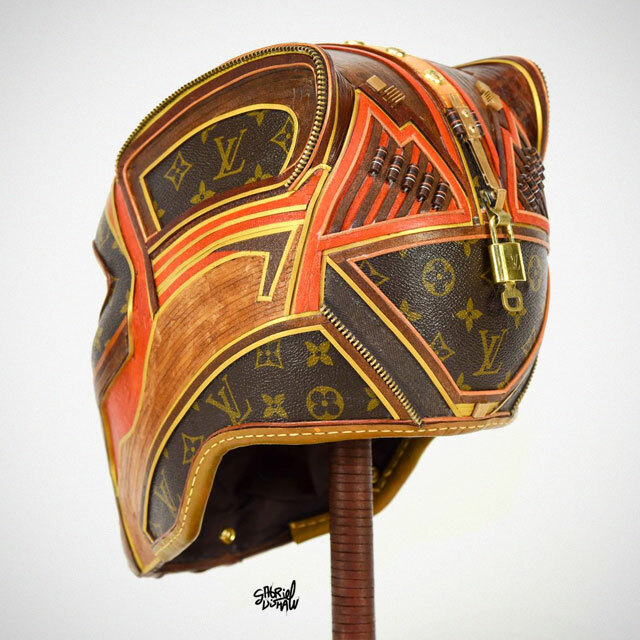 Cheekily called ‘Louis Vuichalla’, it was completed after the first Iron Man LV and before the second Iron Man LV, and it is sold out too. So, would I love to have either one? Probably no. But if there is a LV Infinity Gauntlet, then maybe, just maybe, I would sell my soul for one. Nah. Who am I kidding right? I wouldn’t have any money for anything in the world. 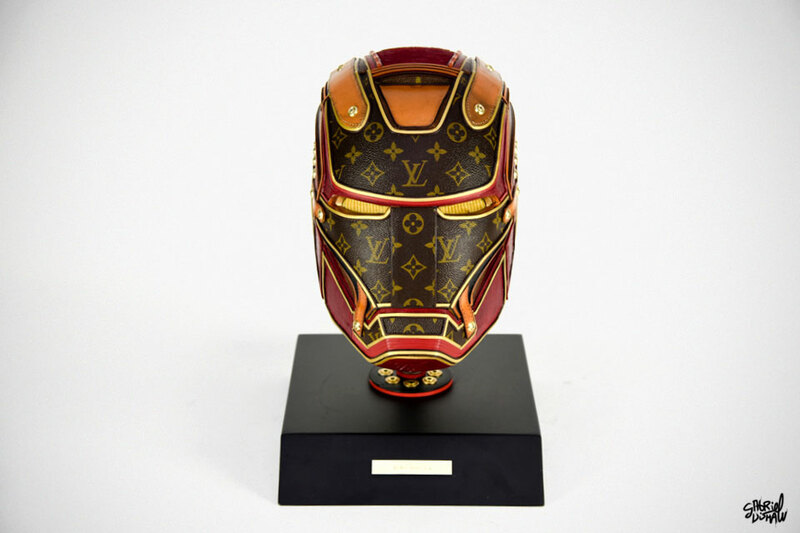 Anyways, the Louis Vuitton Infinity Gauntlet idea wasn’t mine. 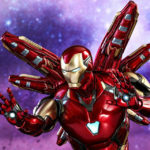 Some responded to RDJ’s tweet with a render of it and boy, it was pretty damn cool. If only Thanos knew about LV’s iconic monogram, he’d demand Eitri the Dwarven King to create the space glove with Louis Vuitton leather. 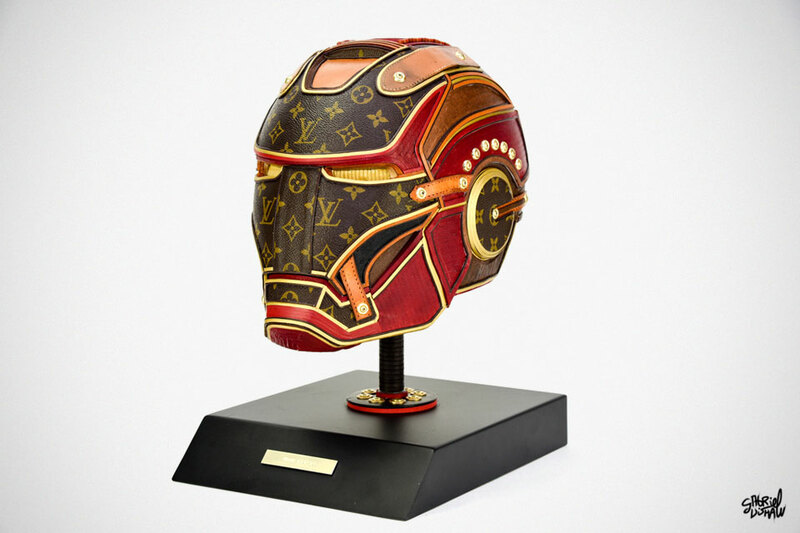 Star Wars Sculptures Made From Recycled LV Bags Are Vuitton-tastic!